It’s an election year, there’s no better time for your family to read and discuss the Constitution of the United States and the Declaration of Independence. These two documents represent the core principles of American democracy. The U.S. Government Bookstore offers the pocket version of the Constitution of the United States and the Declaration of Independence for your convenience to carry wherever you go. 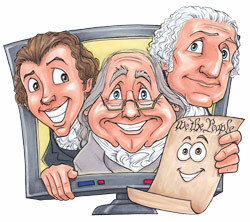 Pick-up your copy of the Constitution of the United States and the Declaration of Independence (Pocket Edition) now! September 17 is Constitution Day, thanks to the efforts of the late Senator Robert C. Byrd, who always carried a copy with him on and off the floor of the Senate. Last year, I blogged about the various editions of the Constitution available as Government publications. This time around, I’ve been thumbing through another publication that helps to put the Constitution, the Declaration of Independence, and a variety of other documents, speeches, and even songs and poetry, into the bigger picture of what it means to be – or become – an American citizen. The Citizen’s Almanac: Fundamental Documents, Symbols, and Anthems of the United States, a handsome and very useful little book from the U.S. Citizenship and Immigration Services correctly states that “both native-born and naturalized citizens will find important information on the rights and responsibilities associated with United States citizenship.” It’s an extremely useful collection of songs (The Star Spangled Banner, America the Beautiful, God Bless America), poems (The Concord Hymn, I Hear America Singing, The New Colossus), symbols (the Great Seal of the United States, including an explanation of that impressive but somewhat mystifying “pyramid with an eye in it” device), complete texts or extracts from notable American speeches (the Gettysburg Address, John F. Kennedy’s Inaugural Address, Martin Luther King’s I Have A Dream, Ronald Reagan’s Remarks at the Brandenburg Gate), notable Supreme Court decisions (Marbury v Madison, Brown v Board of Education) and much more. Although the complete text of the Mayflower Compact, the Declaration of Independence, the Constitution, and other documents are not included, the brief sections on each put them into context so readers can perceive the continuum of American democracy through time. For new and aspiring citizens, a series of brief biographies of famous Americans who were not born in the U.S. makes for interesting reading. In the entertainment world alone, how many of us think of Marlene Dietrich, Bob Hope, and Celia Cruz in their roles as citizens of the Republic? The Citizen’s Almanac is a terrific, well-illustrated source for all kinds of information about American history and citizenship. It’s also an interesting read and a book that’s perfect for Constitution Day or any other day when you need information about this country of ours. You can browse through The Citizen’s Almanac here, buy a single copy or a package of 25 for schools and civic organizations, or locate it at a library. About the author: Adapted by Trudy Hawkins, Writer and Marketing Specialist in GPO’s Publication & Information Sales Division in Washington, DC, from an original post by James Cameron, former Government Book Talk Editor in support of the U.S. Government Online Bookstore (http://bookstore.gpo.gov). Last week a Capitol Hill paper did a piece on the popularity of the United States Constitution as a publication and one of the news services picked it up. Although those of us who work at the Government Printing Office think of the “Pocket Constitution” authorized by Congress as the classic printed version, many other organizations also print and distribute copies, as the article points out. At least one other Federal Government agency does its own edition of the Pocket Constitution: U.S. 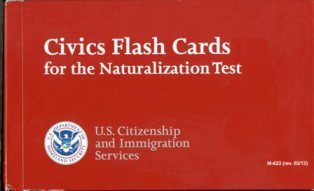 Citizenship and Immigration Services (USCIS), as part of its effort to encourage immigrants to become citizens. Like the congressional edition, this little booklet throws in the Declaration of Independence as well. All of this made me curious about how many editions of the Constitution currently appear in Federal documents of various sorts. It turns out there are quite a few. Note: This is a totally unscientific and partial survey based on what I found in our online bookstore. 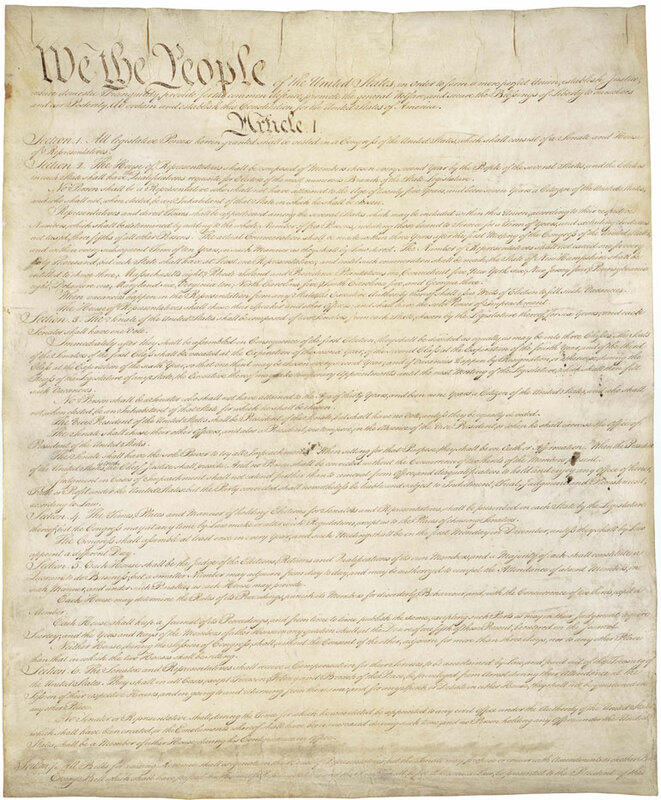 For those who can’t get enough of the Constitution and its interpretation, there’s the Constitution of the United States of America: Analysis and Interpretation, published every 10 years or so and weighing in at an imposing 9 pounds, six ounces, not counting the supplements issued to keep it up to date. If you can’t wait to start reading, you can find it here. For those of us who like to contemplate history’s “might have beens,” you can’t do better than The Constitution of the United States of America as Amended; Unratified Amendments; Analytical Index, which, in addition to the text of the Constitution, details about the ratification of each amendment to the Constitution, and an exhaustive index, discusses six other amendments that were submitted to the states for ratification but not adopted. 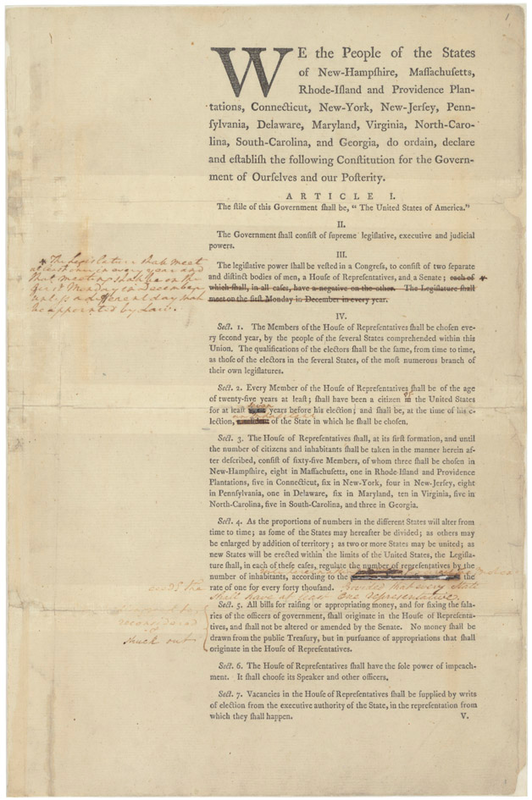 You can read them here and find out which unratified amendment was the only one actually signed by the President. Naturally, the Constitution is also included in the procedural manuals of the Senate and the House of Representatives. And don’t forget Interpreting Old Ironsides: An Illustrated Guide to the USS Constitution – oh, wait, that’s a different kind of vessel of democracy.